Herbed Olive Oil Ice Cubes | Flavor Your Life. Wash and thoroughly dry the ice cube trays. Wash and pat dry the chives. Finely chop the chives and set aside. Repeat for the basil and dill, keeping each type of herb separate. Fill ice cube trays with each type of chopped herb. 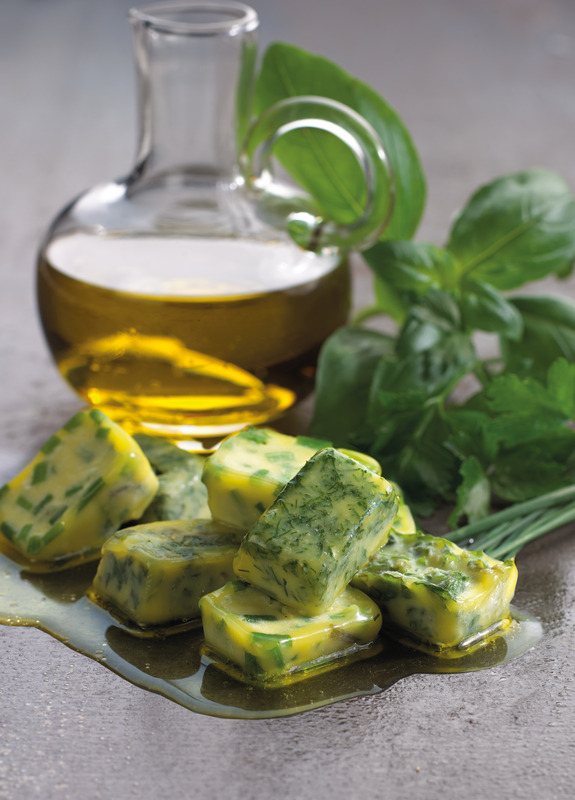 Pour the extra virgin olive oil into the ice cube trays, filling each cube almost to the top. Push down the herbs, so that they are all covered with extra virgin olive oil. Place in freezer and allow to freeze for at least 8 hours.